We start 2019 with plenty of educational activities. “Interview a Scientist” is one of them, and it allows primary school students to get to know PRBB researchers and science first hand. Student looking at the zebrafish embryos through the microscope. With the beginning of the year, we are organizing a lot of educational activities at the Barcelona Biomedical Research Park (PRBB). 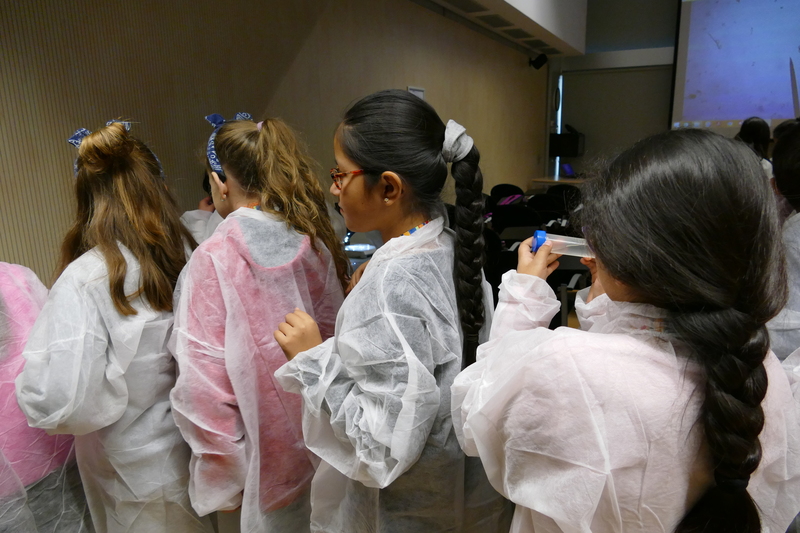 For approximately 5 years, in one of the activities that are being offered, primary school students from different catalan schools spend one morning at the research park. 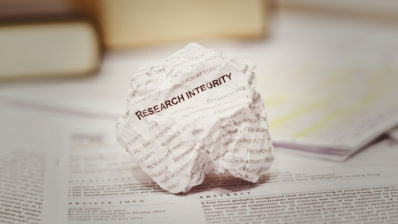 Here, they have the opportunity of interviewing a scientist from one of the six centers located in the building (CRG, EMBL, IBE, IMIM, ISGlobal, UPF). 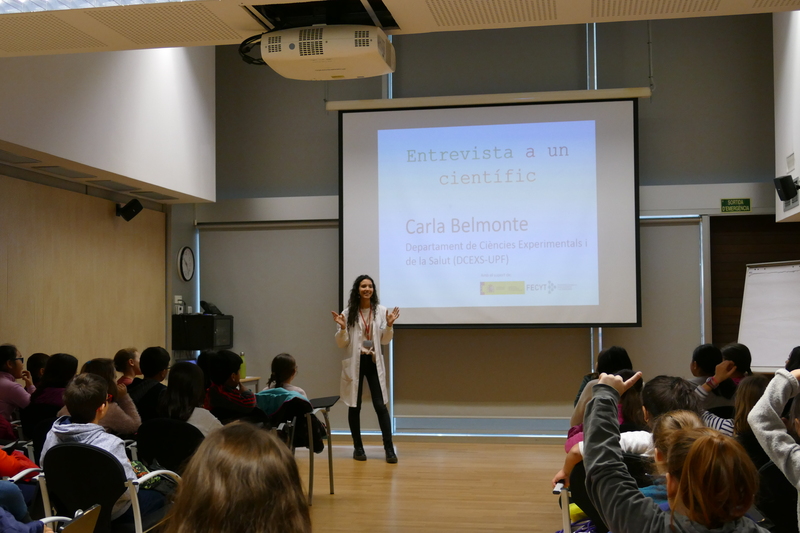 Carla Belmonte, PhD student at the UPF, answers the questions asked by the students. 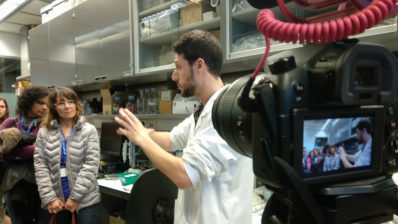 The Bac de Roda School participated in the first Interview a Scientist activity of 2019, and the interviewee was Carla Belmonte, a PhD student at the Department of Experimental and Health Sciences of the Universitat Pompeu Fabra (UPF). While they were waiting to see the zebrafish embryos, the students looked at other samples in Falcon tubes. The activity started at 10 o’clock in the morning, with a short introduction to the PRBB: what it is and who works here. Later on, the scientist told the students about her research line by showing them images and videos. Then, the round of questions started and the kids got an insight into Carla’s life, her interests and her career path. At the end of the interview, the students were divided into two groups so as to start the second part of the activity, which is common to all the Interview a Scientist activities: a guided tour through the building and a talk given by Juan Ramos, the responsible of the aquatic animals at the PRBB animal facility. 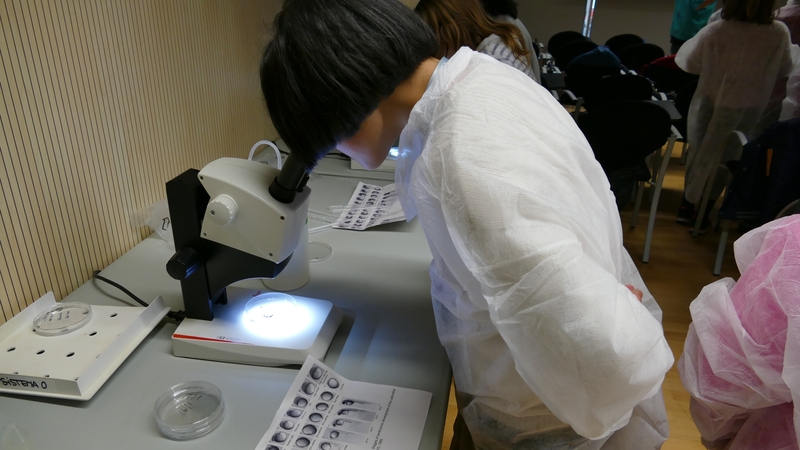 With him, the students got to know the zebrafish as a model animal (its advantages in research, reproduction, etc.). And then came the star activity of the day for the children; looking at zebrafish embryos through the microscope. We are offering more activities like this one during the whole year, addressed to primary school students. If you are a school and you want to participate in some of these activities during the next academic year (2019-2020), check the Plataforma d’Activitats Escolars (PAE) website. 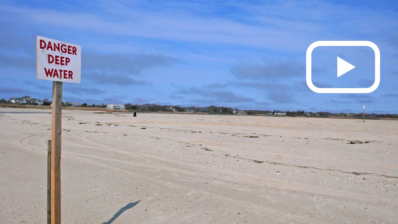 In the next video of the UPF, you can have a look at a previous Interview a Scientist activities, as well as hear the opinion of some of the students. 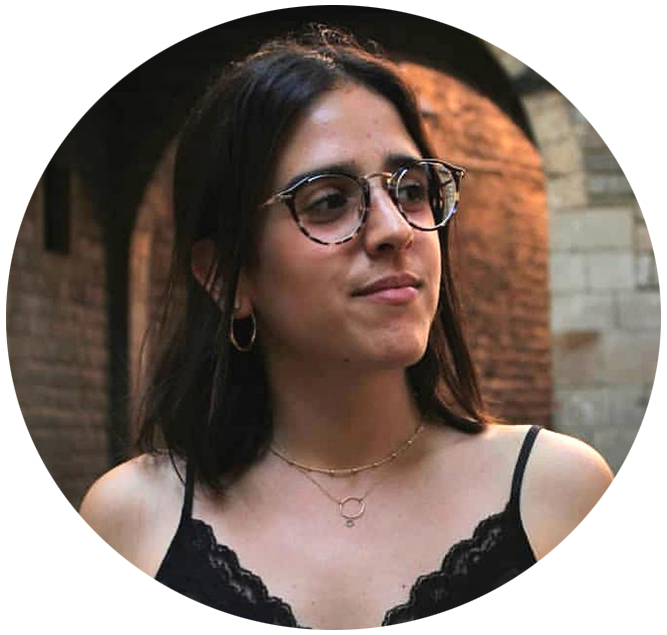 Elena Lapaz studied a Biomedical Sciences degree at the Autonomous University of Barcelona. Enthusiastic about science, as well as concerned about social responsibility and interested in the art of communicating, she has begun a Masters in Scientific, Medical and Environmental Communication at the Pompeu Fabra University. 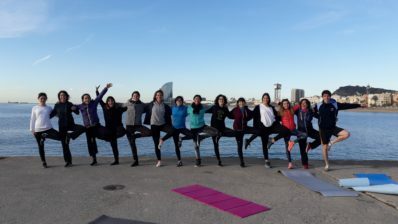 The public visits the IMIM research funded by "La Marató"